I’ve been using this product for ten years so it’s only right that it gets its very own post. And there’s no better time than now, as Guerlain have released limited edition packaging as part of their Summer collection. Guerlain describe this as a moisturising bronzing powder. 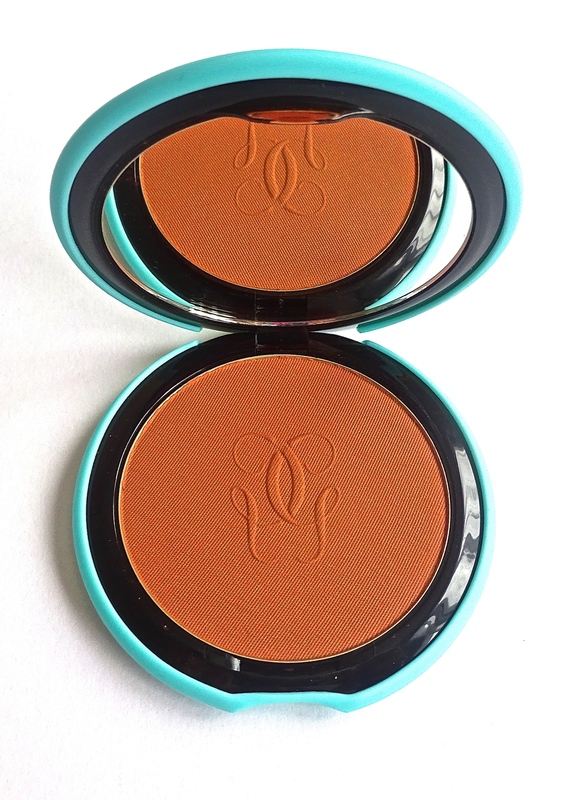 The original packaging comes in eight shades which caters to those with pale to darker skin tones. However, the Summer collection comes in only two shades, a turquoise rubber case for blondes and a peach one for brunettes. You see I’ve got dark brown hair, but I have always used the one for blondes as I find it gives a much more naturally bronzed finish. I tend to dust it over all of the points of my face where I would tan naturally as opposed to a more contoured look. This product has a touch of shimmer in it so I don’t know how well it would do as a contour actually. Many many times I have tried to find an alternative to this, but despite it’s hefty price tag I have yet to come by something that even compares to this, and believe me I’ve tried them alllllll. It’s the perfect pick me up when you’re looking a little worse for wear and need to add a little colour to your face. 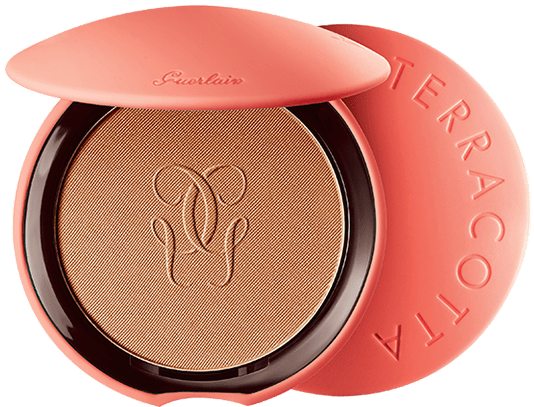 So if you’re in the market for a new bronzer and have a little cash to splurge I would definitely go for the Guerlain Terracotta. It hasn’t failed me in the last ten years and probably won’t in the next ten..